The first findings that indicate human presence in Rethymno date back to the post-Minoan period (1350-1250 B.C). The ancient city of "Rithymna" flourished in the 4th and 3rd century BC, considering the discovered gold and silver coins of this period. However, the city's glory gradually wore off, until it became a common village during the Roman Period. There is no significant information about the region's activity during the next historical periods (the Arab and the 1st Byzantine period). Later, during the 2nd Byzantine period (961-1204 A.D), evidence indicate the existence of a small fortified settlement named "Castell Vecchio". After the end of the 4th Crusade (1204), Crete was assigned to Vonifation the Momferatiko, who sold it almost immediately to the Venetians. After a short period of Genoan occupation on the island, due to the Venetian delay to settle in the island, the latter finally occupy Crete in 1211. The Venetians soon realized the geographical importance of Rethymno, since its port was a mercantile marine transit area, where large quantities of merchandise circulated. In 1540, due to the city's expansion beyond the settlement of Castell Vecchio and to the Turkish threat that approached, the Venetian authorities decided to re-fortify the city. The weaknesses of the new fortifications became evident in 1571, when the pirates of Ouloutz-Ali entered the city with little effort and destroyed it, burning it completely. Two years later, in 1573, the "Fortezza" fortress was built on the hill of "Paleokastro", an improved fortification that would better protect the city from invasions and sieges. Finally, in 1646, Rethymno was occupied by the Turkish Empire, following the complete occupation of the island of Crete a few years later. The Turkish occupation ends in 1897, when the island falls into a short Egyptian occupation (1830-1840). During the Turkish occupation, numerous revolutions and uprisings shattered the island. Some of the greatest and most important of those uprisings was the 1866 revolution and the "arcadi" massacre. In 1897, the Great Powers decided to occupy the island. Rethymno was occupied by the Russian army, which departed in 1907. 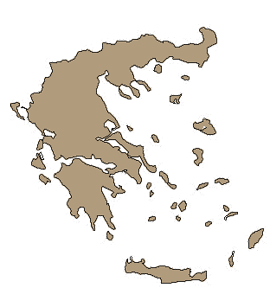 In 1908, Crete profited from the international political developments and demanded its unification with Greece. The demand was satisfied in 1913, when Crete was finally unified with Greece by the treaty of London after the end of the Balkan wars. In 1924, the Turkish Cretans departed and settled in Asia Minor in the framework of the Lausanne Treaty, which declared the population exchange between Greece and Turkey. Greek refugees from Asia Minor took their place. During the 2nd World War Rethymno was bombed by the Germans and many buildings were destroyed. After the end of the war, poverty and bad living conditions forced many Rethymnians to move in Athens or abroad, in search of a better future. Today, with the aid of tourist development, Rethymno's old city flourished once again and attracts visitors from all over the world.